It's a special event at which a wedding dress designer (or representative from the company) visits a bridal boutique on a set day with their entire line of new dresses. Brides can schedule appointments to try on the dresses and sometimes meet with the designer. 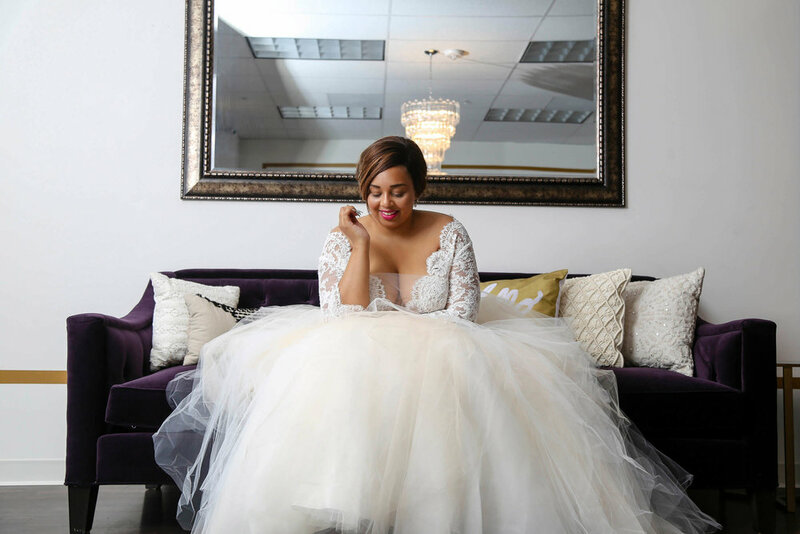 Because we are a curvy boutique, our trunk show wedding dresses will start at sample size 14! No worrying about how many gowns you will have the opportunity to try on!!! Continue to check our page for upcoming trunk shows held at Olivia's Bridal House.